Create a beautifully unique solution for any room or space. 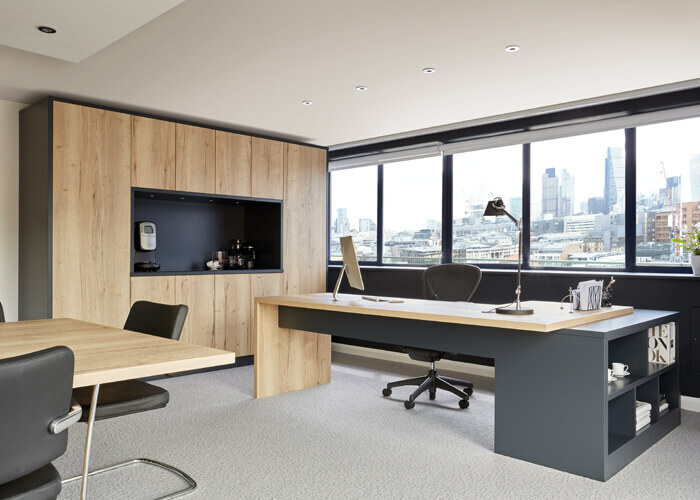 With bespoke designs handcrafted to your individual specification, our furniture fits your lifestyle, without compromise. Your staircase is the heart of your home and should be a beautiful focal point. 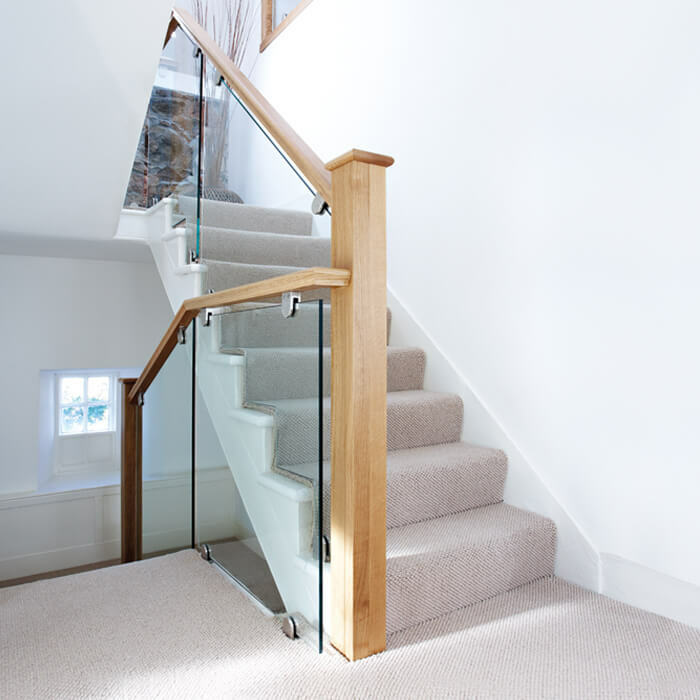 Our expert designers and craftsmen can transform your staircase into a tailored, handcrafted centrepiece. Designing a home to fit your lifestyle can be difficult when you don’t have all the options. 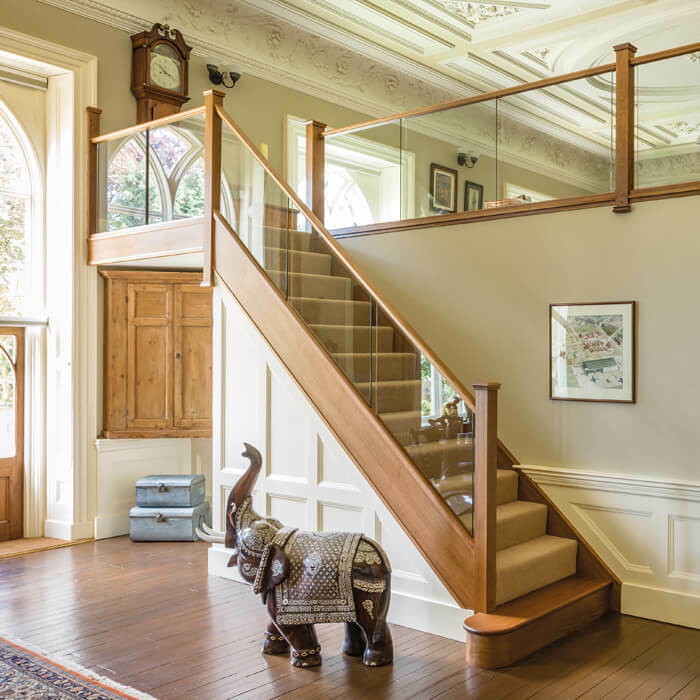 Bespoke furniture and staircases from Neville Johnson are designed entirely around you, improving everyday life in your home. Neville Johnson furniture designs are unique. 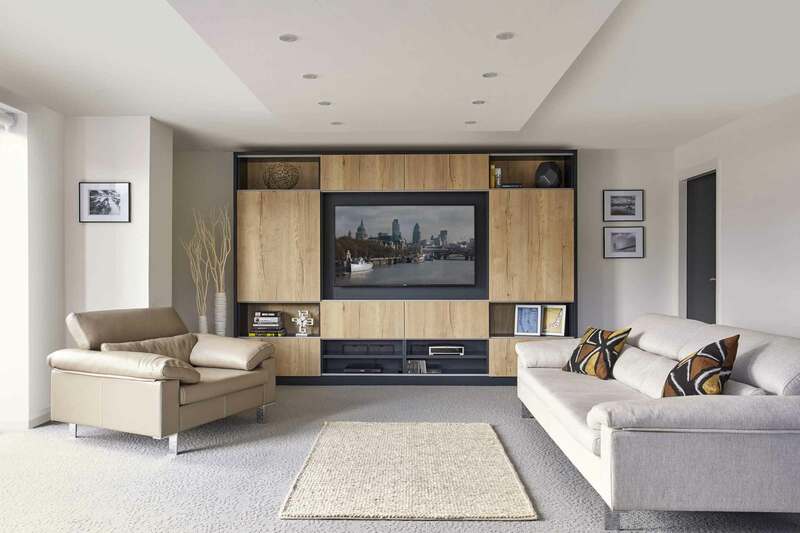 Our fully tailored solutions work with the shape of your room, fitting effortlessly into your decor and style. Don’t settle. Have everything you want, exactly how you want it. If your existing staircase is structurally sound, there is absolutely no reason to rebuild it. You can improve the appearance of your home without the need for inconvenient building work, with a stunning new handcrafted solution designed for you and built in just 1-2 days. 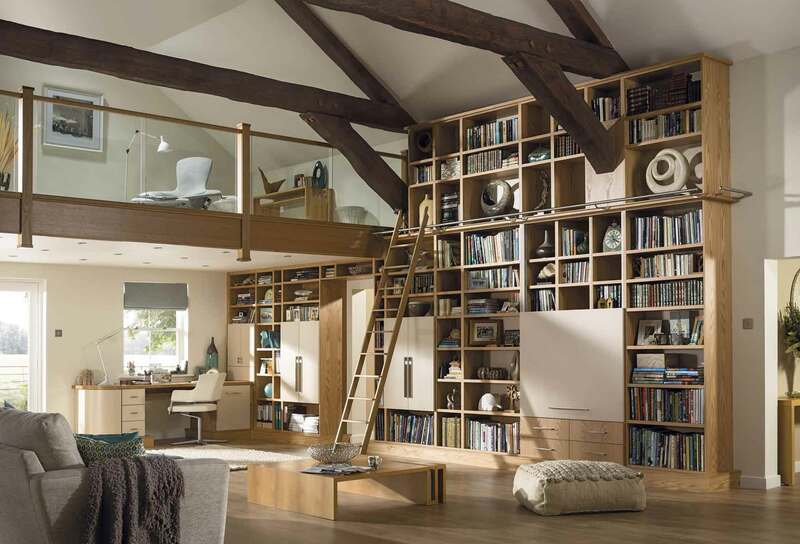 Quality bespoke solutions for any room in your home, forming a space that’s truly yours. Created with our experienced designers and built by our master craftsmen, there is no style that is beyond your reach. Think big, dare to dream and explore all possibilities to achieve your perfect look. 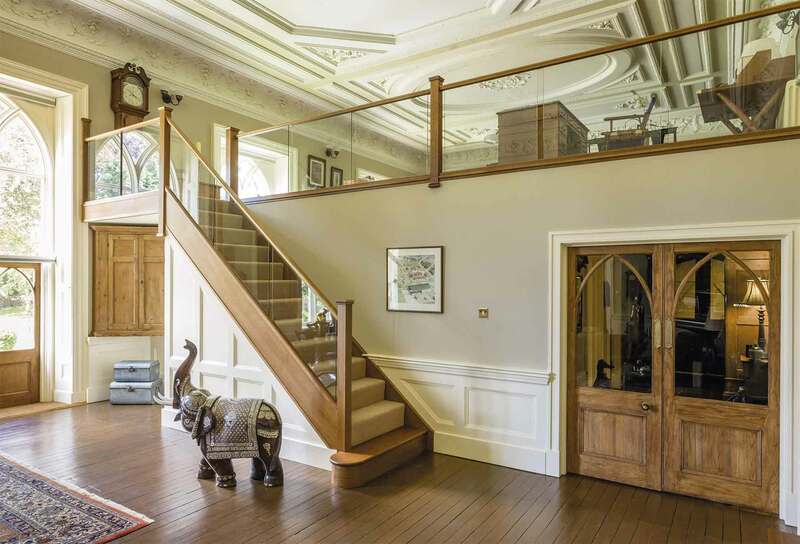 By combining cut string glass and oak, this staircase has been transformed into a modern masterpiece. 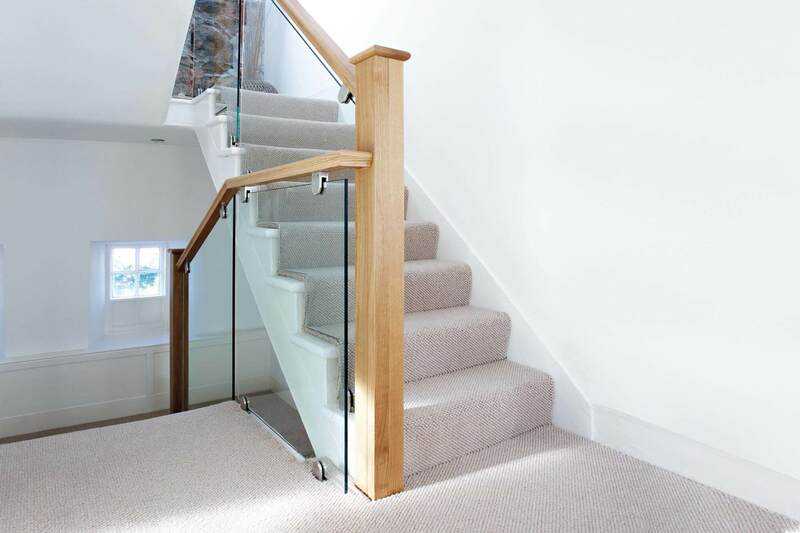 The use of the seamless, sleek glass balustrade helps to increase the amount of light within the hallway. 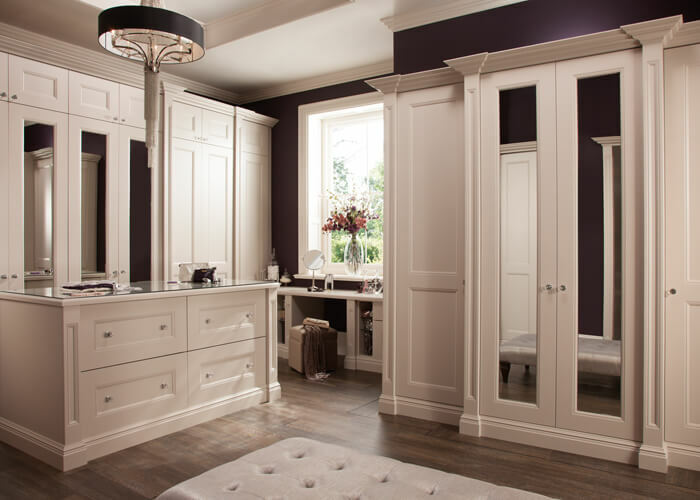 Our discerning customers have trusted us to design the highest quality bespoke solutions for over 30 years. We design and deliver truly personal results that are perfect for you and your life. From inspiration to installation, you can expect the highest level of personal service at every stage of your Neville Johnson experience. Our master craftsmen are experts in creating contemporary designs using traditional and modern techniques. 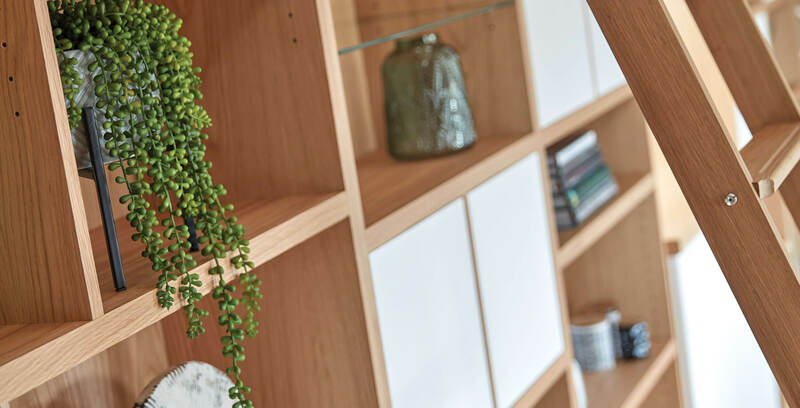 We use the finest materials, chosen by you, to create one-of-a-kind solutions that stand the test of time - with a ten year guarantee for complete peace of mind. Discover new and innovative ways to improve everyday life in your home. Explore the work we’ve done, consider new possibilities, and be inspired to create your own perfect spaces. Find designs and ideas you love and share them with friends to spark their own imagination, for a world of beautiful homes.